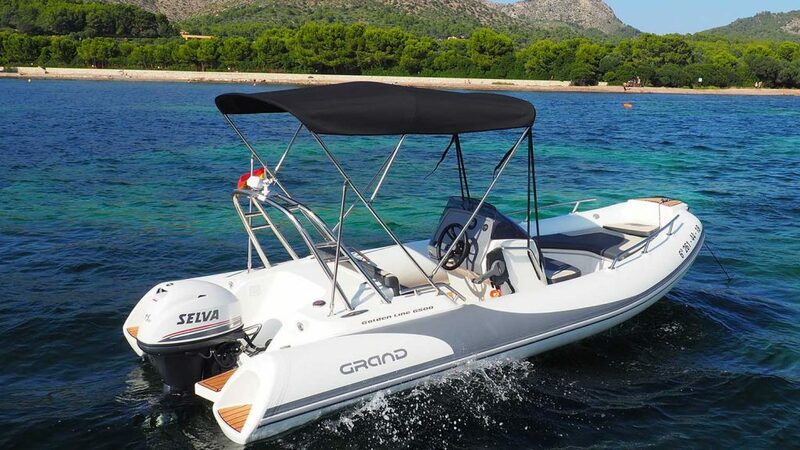 Hire a Boat from Puerto de Alcudia - Book now for best Value! The bay of Alcudia has a lot of stunning scenery and interesting places waiting to be discovered by you. There is no better way to do this than to hire a boat! 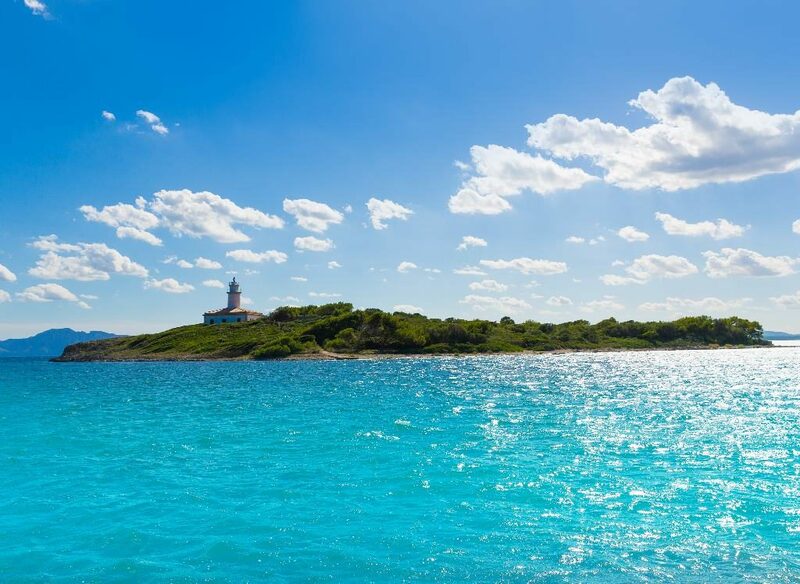 You can visit the beautiful beaches and explore the hidden coves with their crystal-clear water at your leisure and without sticking to a specific route or timetable. With very affordable pricing and no boating licence required, there is nothing to stop you from being your own captain for a day. There are a variety of different boats available to hire. 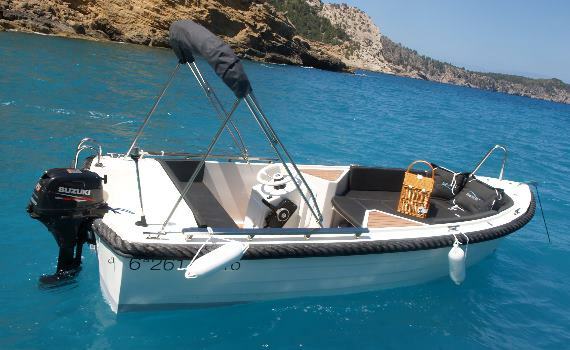 For those without a licence, there is a choice of several boats with 15 HP. 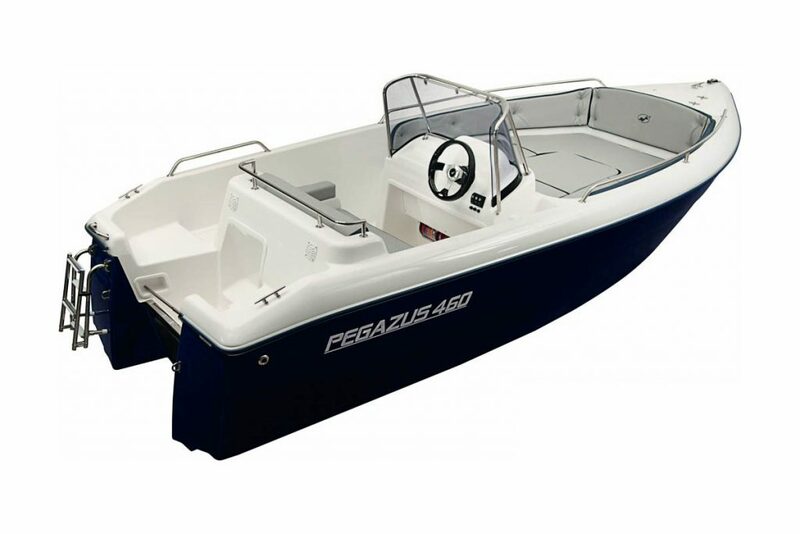 If you are in possession of a licence, you also have the option of 40 or 200 HP. 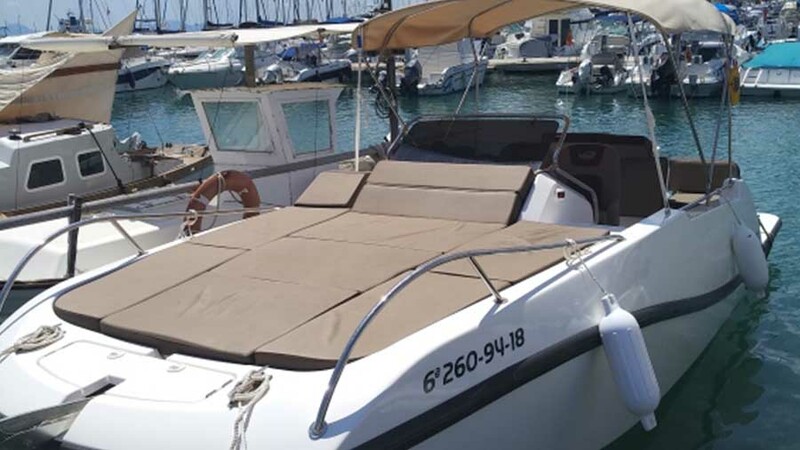 The boats come in different sizes, ranging from 4.5 metres for a maximum of 5 passengers to 7 metres for up to 8 passengers. 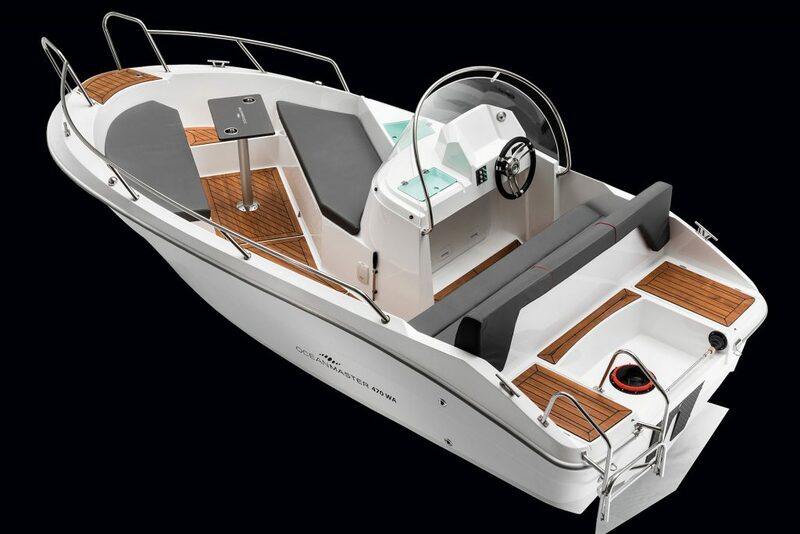 All boats come equipped with anchor, life vests, first-aid kit and sunshade. Additionally, each passenger is supplied with a bottle of drinking water and you are given a cool-box to allow you to store any food you may wish to bring. Also provided are a mask and snorkel for each of you, to give you the option of exploring the underwater world a little more closely. 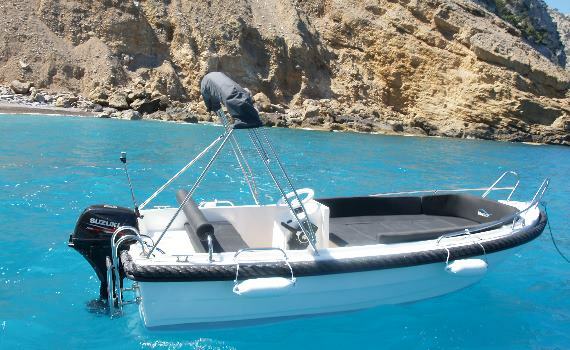 The experienced team will instruct you in the handling of your boat and inform you of everything else you need to know to ensure you feel confident before you set off on your boating adventure. They will also give you a map of the surrounding coastline, where all the places worth visiting have been highlighted. You can choose between a half-day rental and a whole day. The latter option allows you to explore some of the locations that are a little further away. 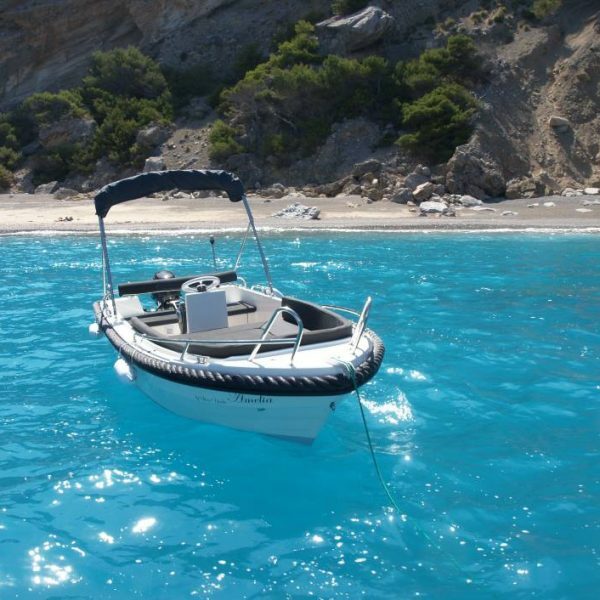 The boats get booked out quickly, especially in high season, therefore it is a good idea to book in advance! Contact us for more info or to make a booking.